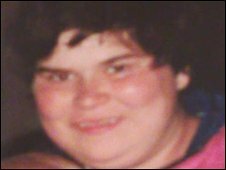 Two men arrested on suspicion of the murder of a young mother 11 years ago in Sheffield have been bailed for three days by detectives. The arrested men, aged 51 and 59, were taken in for questioning on Wednesday. They have been given bail until Monday. Ms Grainger’s son Daniel set up a website to appeal for information. The 16-year-old’s internet site whokilledmymum.com has had 100,000 visitors since it was started two months ago. Police have refused to say if the pair were arrested in light of fresh information from Daniel’s website.